Explore our locations across the state and our career opportunities. WVU Medicine Staffing Solutions is a system wide resource pool of nurses that travel to any of our hospitals and/or clinics to supplement critical staffing shortages and vacancies. Staffing Solutions Nurses enjoy employee benefits based on full-time equivalent status, short and long term assignments, and competitive pay. Morgantown is home to J.W. Ruby Memorial Hospital, WVU Medicine Children’s, WVU Heart and Vascular Institute, WVU Cancer Institute, and many outpatient clinics. A vibrant city located along the Monongahela River and close to the Pennsylvania border in the north central part of the state, Morgantown has excellent schools, diverse restaurants, and outdoor activities. We also hire for positions at system hospital sites and additional outpatient clinics, as well as WVU Medicine-affiliated outreach sites in West Virginia, Maryland, and Pennsylvania. 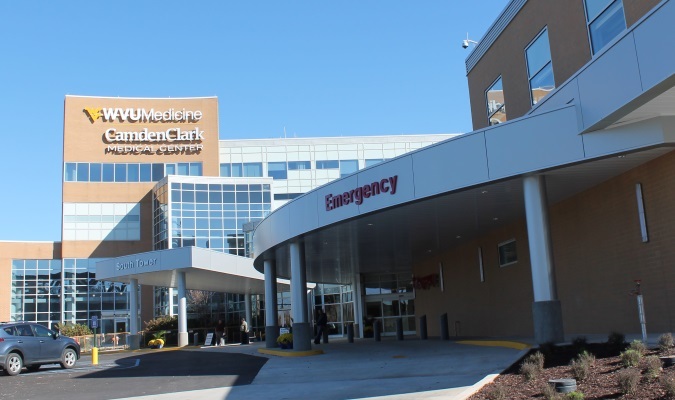 Only 65 miles from the Nation’s capital, the Eastern Panhandle is home to WVU Medicine Berkeley Medical Center, Jefferson Medical Center, and University Healthcare Physicians. The area is near the Potomac and Shenandoah rivers and features active communities, affordable neighborhoods, and highly regarded schools. Serving the Bridgeport and Clarksburg communities, United Hospital Center and its many outpatient clinics are at the heart of north central West Virginia. Just south of Morgantown, Bridgeport offers state parks, shopping, high-tech businesses, and high quality educational facilities. Bridgeport is a great small town with personality, with easy access to larger cities. Located in the mid-Ohio Valley region, Camden Clark Medical Center, Camden Clark Regional Cancer Center, and affiliated physician offices serve a population of about 140,000. Parkersburg is a family-oriented community, rich with giving people and outdoor activities such as hiking and golf. Conveniently located near big cities, Parkersburg offers affordable accommodations and is ideal for families and those starting their careers. The seat of Mineral County, the City of Keyser is home to Potomac Valley Hospital. Keyser is part of the Cumberland, Maryland-West Virginia metropolitan area, a historic region in a quiet mountain setting surrounded by forests. Near the Potomac River, Keyser offers outdoor recreation and beautiful fall seasons. Located in the Northern Panhandle of West Virginia, Reynolds Memorial Hospital serves Marshall County, a hard-working, friendly community. Glen Dale is situated along the Ohio River, and is a short drive to neighboring states, Ohio and Pennsylvania. Attractions include nearby parks, shopping centers, concerts, and festivals. Tucked in the heart of central West Virginia’s Upshur County, Buckhannon is home to St. Joseph’s Hospital, a campus that includes physician offices, PromptCare walk-in service, and Home Medical Equipment and Supply Store. Buckhannon exemplifies West Virginia hospitality and small town charm – with beautiful streets, homes, yards, and parks. United Summit Center of West Virginia is a comprehensive behavioral health center serving the following counties in North-Central West Virginia: Barbour, Braxton, Gilmer, Harrison, Lewis, Marion, Monongalia, Preston, Taylor, and Upshur. The center offers a full continuum of outpatient services to treat a broad range of mental, emotional, developmental, and addiction issues in children, adolescents, adults, and seniors.